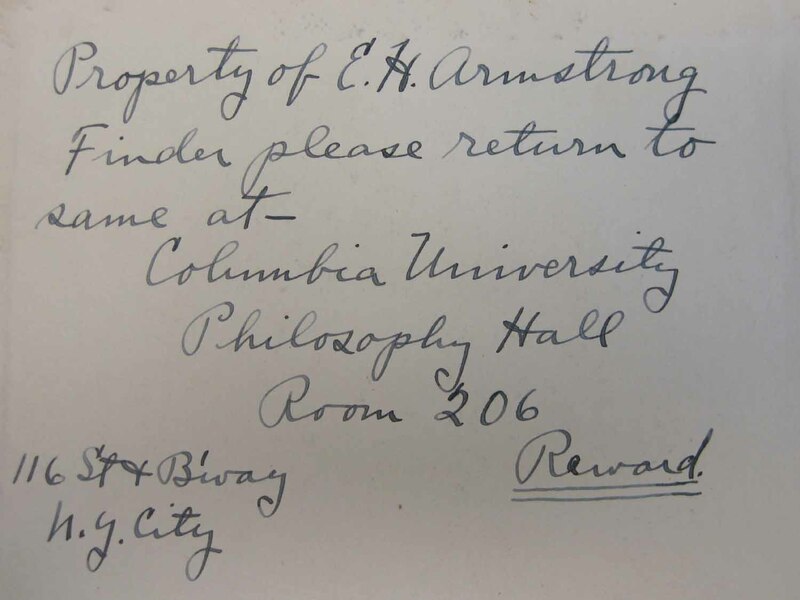 Born in 1890, in the Chelsea district of Manhattan, E. H. Armstrong was the first child of John and Emily Armstrong. 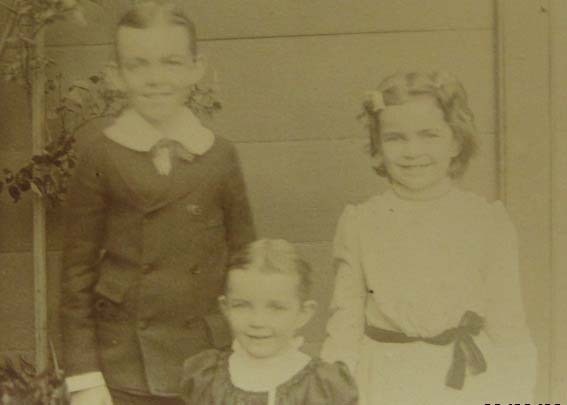 He had two younger sisters, Ethel and Edith, and in 1902 the family moved out of New York City to 1032 Warburton Avenue in Yonkers, New York. 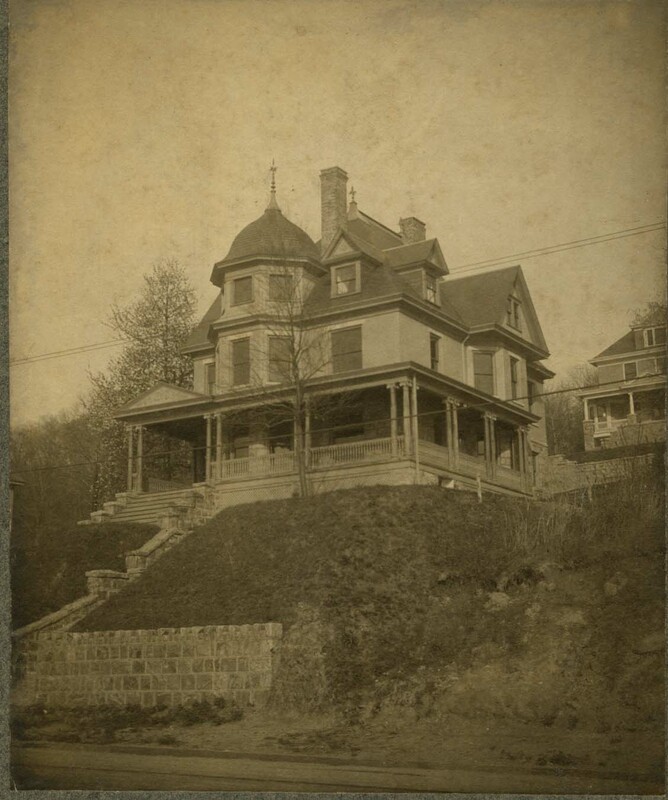 The house was a large Victorian overlooking the Hudson River. During his childhood summers, the family usually left Yonkers and stayed at a farm in upstate New York. 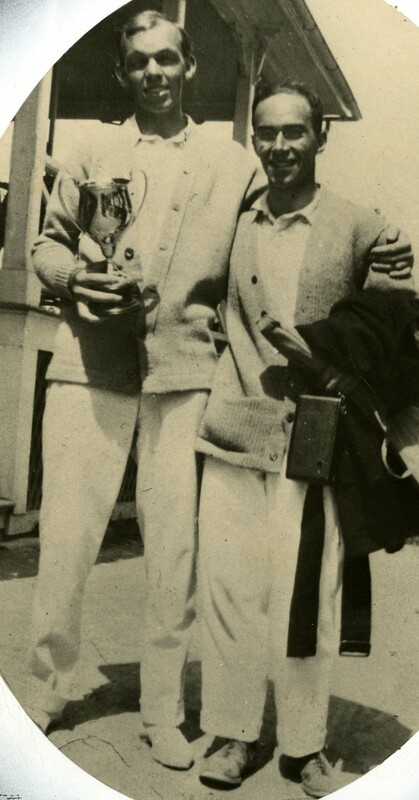 John Armstrong was an avid tennis player and set up tennis courts where the young Major quickly honed his talents. Edwin’s father gave him a book "The Boys Book of Inventions" which had a huge impact on the young boy. 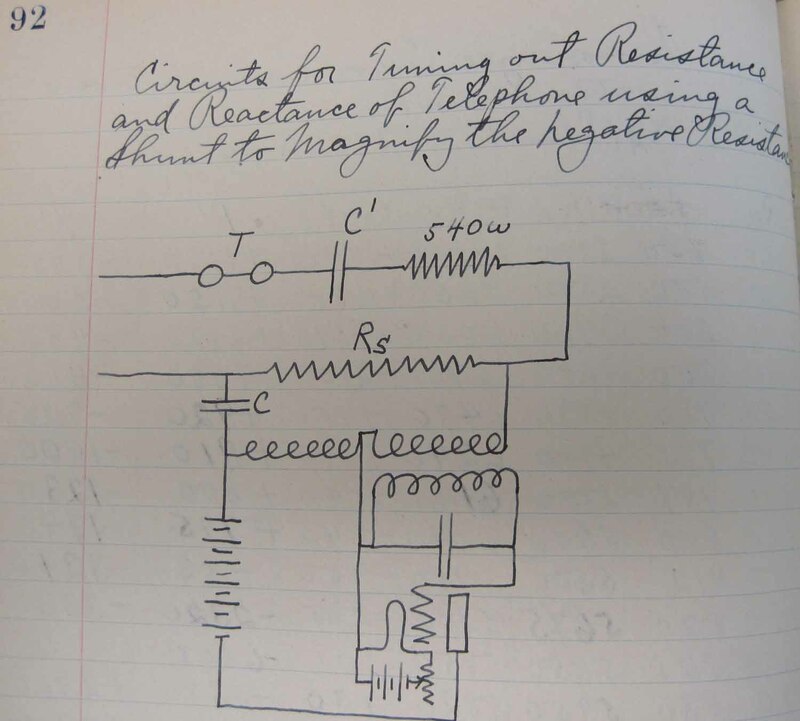 He studied Michael Faraday and Gugliemo Marconi and set out to become an inventor, more specifically, a wireless inventor. 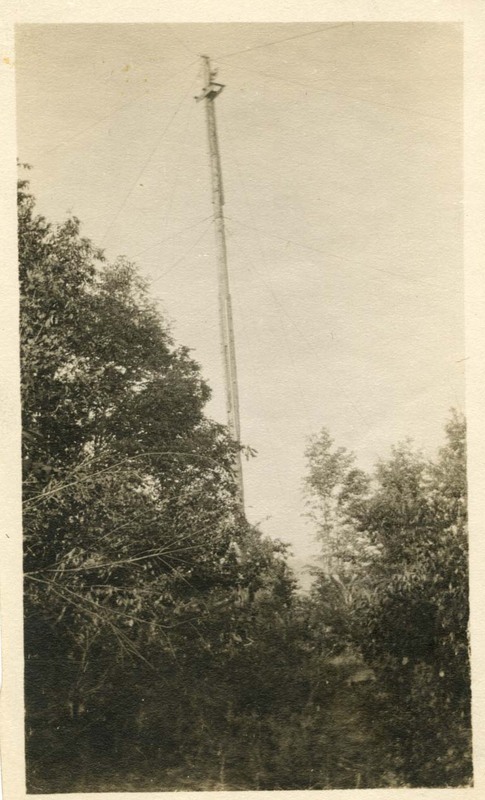 He set up wireless apparatus in the attic and soon made friends with numerous boys in and around the neighborhood, all of which had an interest in wireless communications. His early cohorts, whom he remained friends with for the duration of his life, were Bill Russell, Tom Styles, and Randy Runyon. 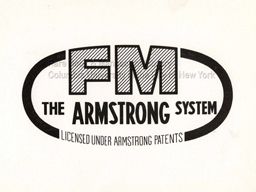 Armstrong built an antenna mast on his lawn. His youngest sister Edith, or Cricket as Armstrong had nicknamed her, acted as his sole assistant in this project. 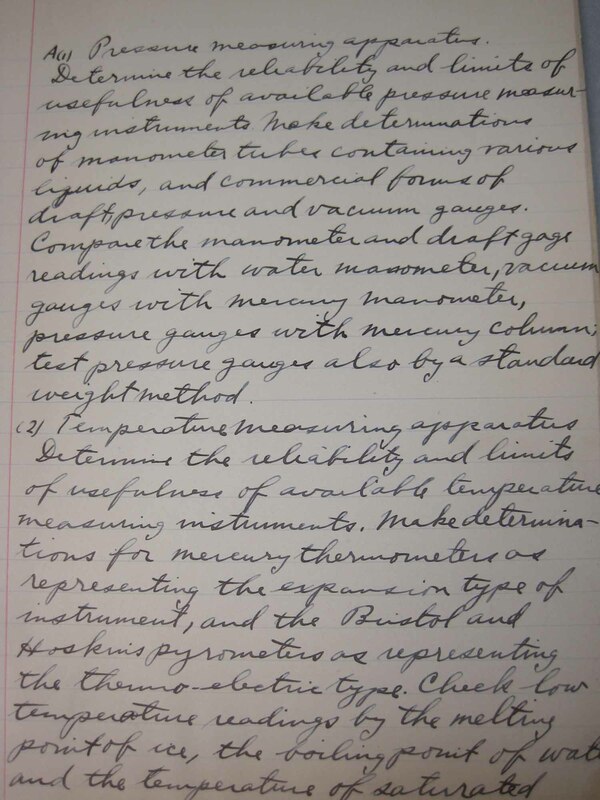 In 1909, he entered the undergraduate electrical engineering program at Columbia University. He undertook endless experiments, learning from various professors that nothing should be taken for granted. 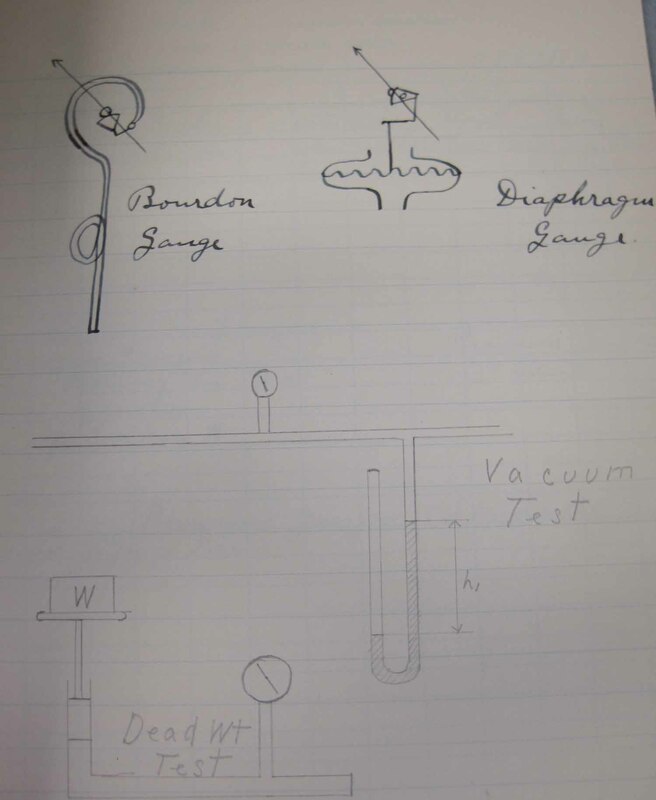 He soon took to Professor Michael Pupin, one of the founders of Columbia’s Department of Electrical Engineering and head of the Marcellus Hartley Research Laboratory. 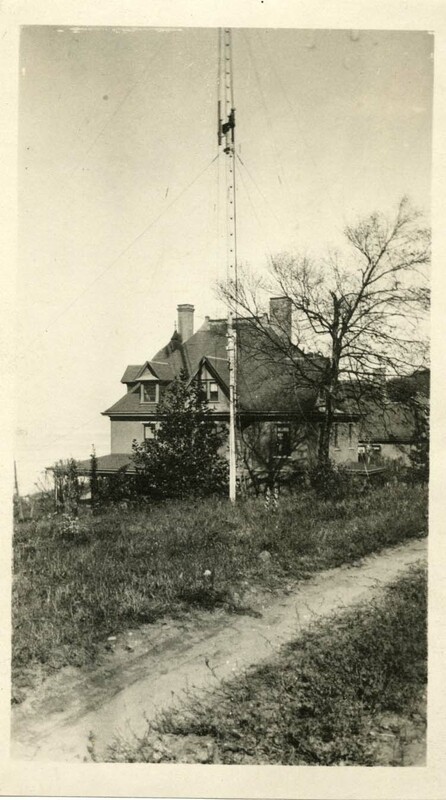 Pupin had been working on improving wireless transmission, as had Armstrong, up in his attic at 1032 Warburton Avenue. Pupin noticed the young genius in his tireless pursuit of strengthening wireless transmissions. 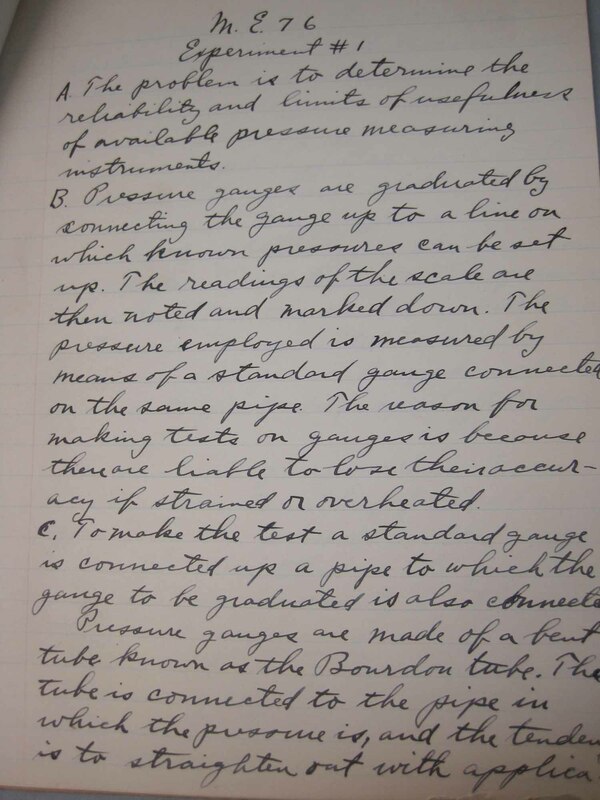 In 1912, Armstrong told his friend and classmate, Herman Burgi, he had discovered a method of amplifying wireless signals. 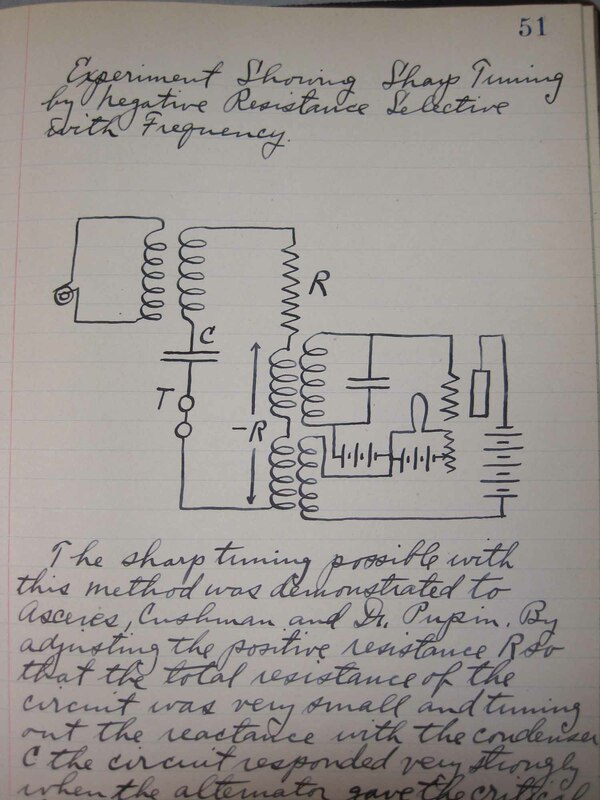 It would not be until 1913, when Armstrong had the money to file for the patent, that he would debut his regenerative circuit. 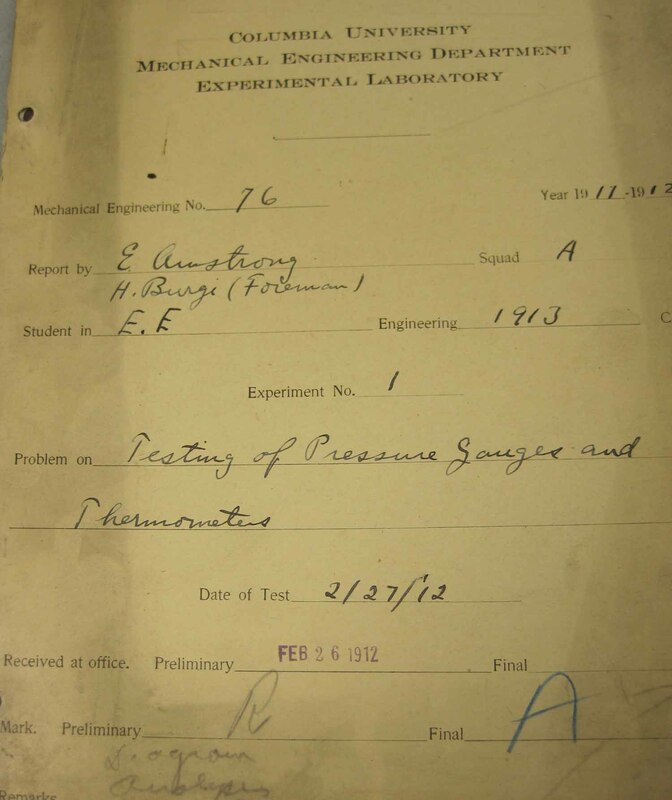 I came upon many of Armstrong’s undergraduate "labs" for both electrical engineering and mechanical engineering classes. I have included an example of one below. 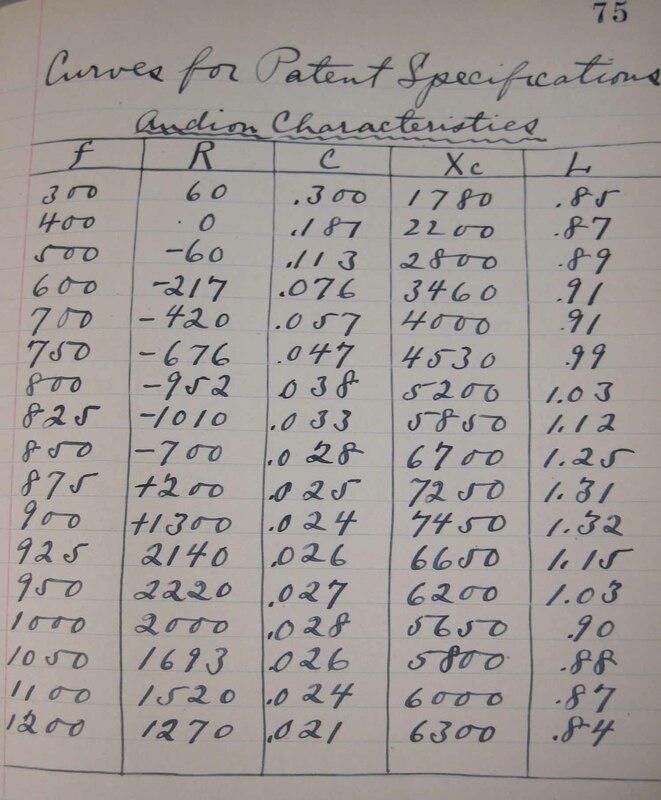 In addition to a variety of undergraduate "labs", I came upon an early notebook which is unfortunately undated. 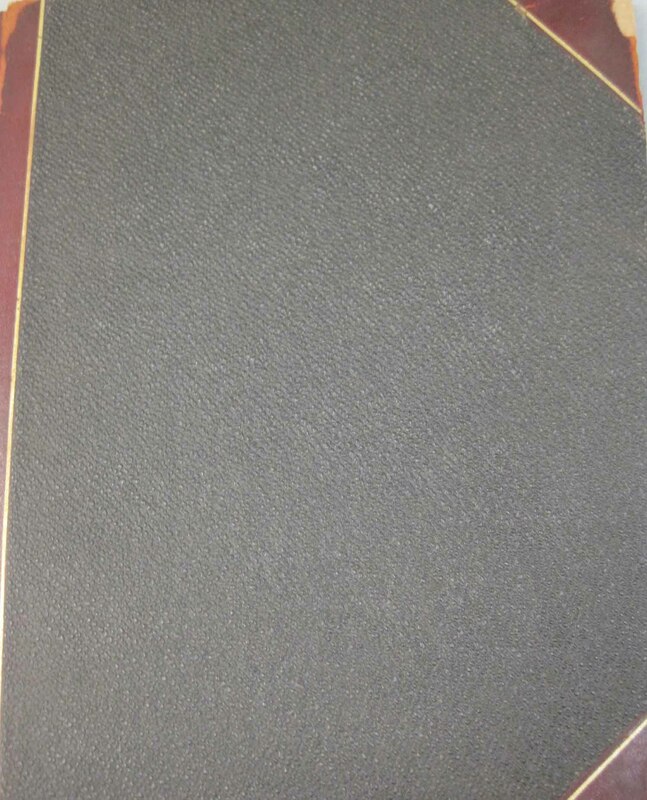 On the interior of the front cover Armstrong lists himself as the rightful owner and should the notebook get lost, a reward for its return. 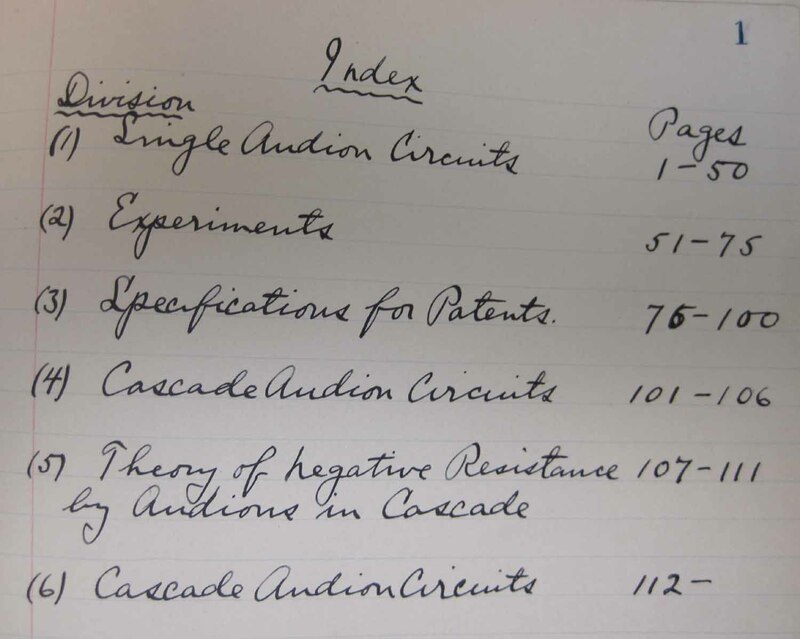 You will also see some of the interior pages, including the index and his investigation into the audion. This entry was posted in Popular and tagged 1032 Warburton Avenue, audion, Bill Russell, Gugliemo Marconi, Herman Burgi, Marcellus Hartley Research Laboratory, Michael Faraday, Michael I. Pupin, New York, Randy Runyon, regenerative circuit, Tom Styles, Yonkers on September 14, 2010 by Jennifer Comins.